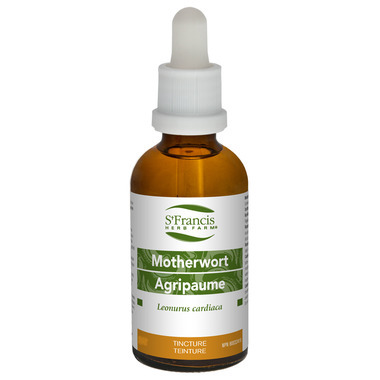 Motherwort is used for cardiac symptoms of neurosis, cardiac insufficiency, fast heart rate, and other arrhythmia. Cautions and Warnings: Consult a health care practitioner before use if you have a heart condition or are taking heart medications. Consumption with alcohol or other medications with sedative properties is not recommended. Consult a health care practitioner if symptoms worsen or persist. Contraindications: Do not use if you are pregnant or breastfeeding. Discontinue use if diarrhea, stomach irritation and/or uterine bleeding occur.